Prince Albert, Sask. 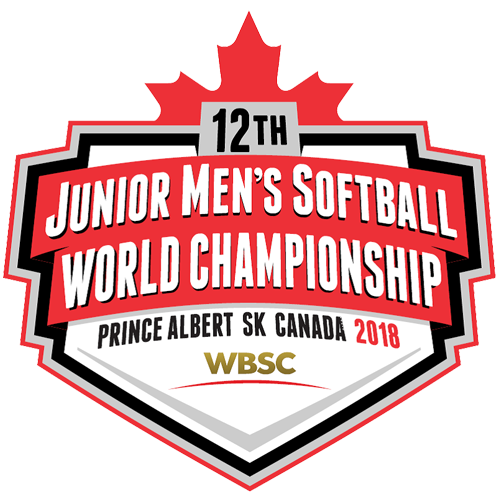 – The Canadian Junior Men’s National Team remained perfect after a 7-0 win over Guatemala in five innings. Cole Pavey (Glencoe, Ont.) and the strong Canadian defence held Guatemala scoreless, while Jordan Pomeroy (Placentia, N.L.) provided most of the offence with a solo homerun in the bottom of the third and a grand slam in the bottom of the fourth. The red and white notched the first hit of the game in the bottom of the first when Dallas Kipfer (Kitchener, Ont.) lined a two-out double and advanced to third on a wild pitch, but the next batter struck out to leave him stranded. Guatemala managed to get a pair of singles in the top of the second but was unable to push either runner in to score. Pomeroy opened the scoring with a two-out solo shot to center in the bottom of the third to give Canada a 1-0 lead. Troy Kosmynka (Warman, Sask.) led off the bottom of the fourth with a single with Mac Mulvey (Wingham, Ont.) coming in as a pinch runner, racing around to third on a failed pickoff attempt by the catcher before scoring on a single by Brendan Hagerman (Napanee, Ont.). After scoring a third run on a fielder’s choice by Ryan Smith (Shellbrook, Sask. ), Canada loaded the bases with a walk before Pomeroy drilled a grand slam over the right field fence to increase Canada lead to 7-0 and put the run rule into effect. Guatemala got a leadoff bunt single, but the batter was thrown out at second by the right fielder after the throw from the infield missed the mark at first. Pavey retired the next batter on a ground ball back to him followed by a strikeout to end the game. Pavey picked up the shutout win, allowing three hits and three walks while striking out four in five innings of work. Pomeroy drove in five runs on the power of his two homeruns, with Kipfer, Kosmynka, Hagerman and Isaac Lefebvre (St-Leonard-d’Aston, Que.) each adding hits. The Canadian win sets up a showdown with New Zealand (3-0) for first place in Group B Tuesday night at 8:00pm CST. The Kiwis stayed perfect as well by defeating the Czech Republic 8-1 on Diamond 2. Other scores on the day included India earning its first win by defeating South Africa 5-4, Australia powering past Denmark 18-0, the United States beat Hong Kong 11-1, Japan defeated Mexico 7-1 and Argentina took a 6-1 win over South Africa.